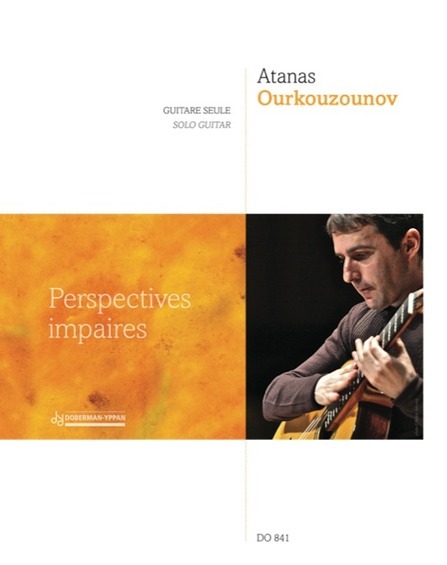 Atanas Ourkouzounov est un des guitaristes plus intéressants dans le panorama international actuel. 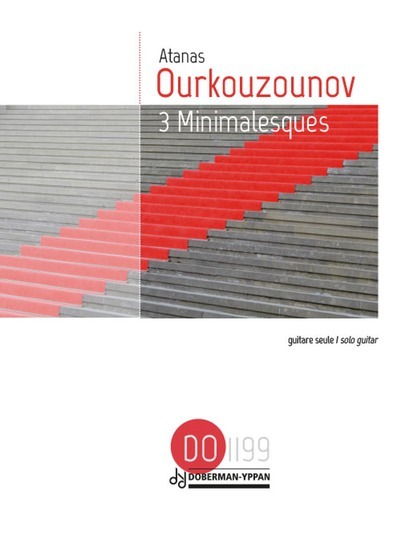 Dans ce Cd nous trouvons des compositions pour flûte et guitares, des pages qui enrichissent le répertoire pour cette formation. 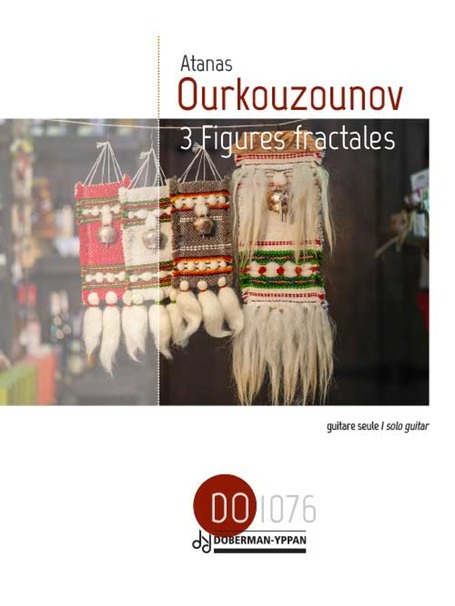 Le language de Ourkouzounov est reconnaissable dès le premier morceau, Sonatine: trois mouvements intenses dans lesquels l'élément ethnique se marie aux sonorités fluctuantes de la flûte et la rythmique de la guitare, avec accords plaqués, arpèges, percussions. Remarquable aussi Légendes de 2006, quatre morceaux toujours à haute tension. En particulier il nous a séduit Makedonska Pesen, une émouvante réminiscence macédonienne. En suite Babini Deventini, ces 5 morceaux magnifiquement structurés nous conduisent à la clôture du CD avec Labyrinthes, trois pièces qui résument un peu l'essence d'un CD incontournable : lyrisme, poignantes harmonies et rythmes inépuisables. 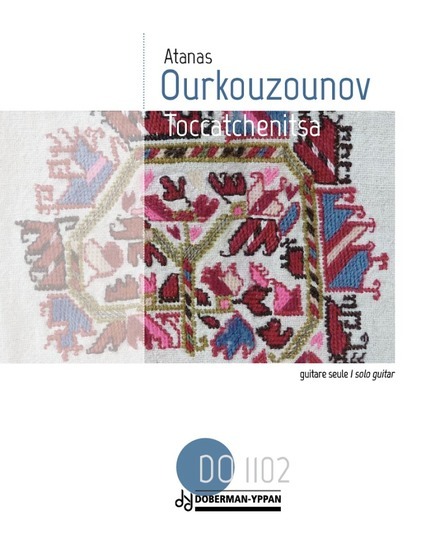 This CD, which contains some of Atanas Ourkouzounov’s latest compositions for guitar, is a successful and challenging recording. Atanas is without a doubt one of the greatest living composers for the guitar, and at the same time he belongs to the elite of performing guitarists - a fact testified by this CD as well as his many performances in Denmark with Mie Ogura. 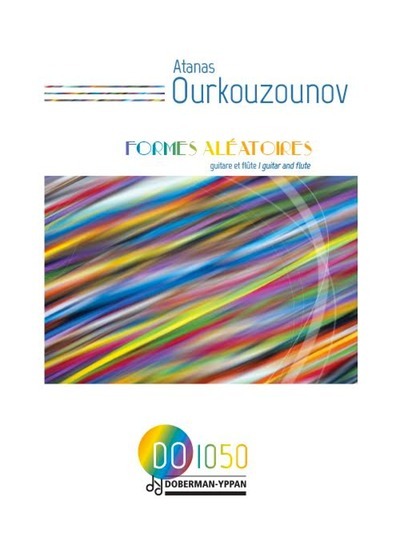 The first track of the CD is “3 figures fractales” (2016-2017). The three pieces resemble evocative, inquiring, abstract paintings. Maybe these pieces don’t catch the attention a lot upon a first listening, but they do improve on acquaintance. 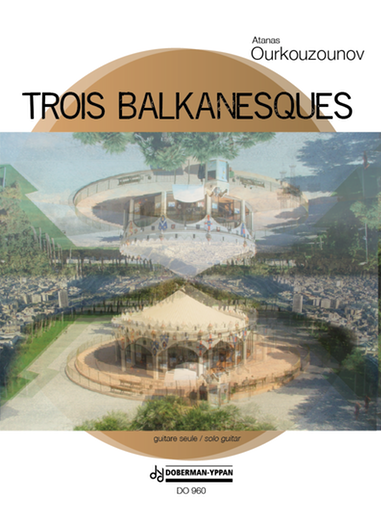 Afterwards follow “3 Balkanesques” (2015) - played out in a more genuinely folkloristic tonal language. 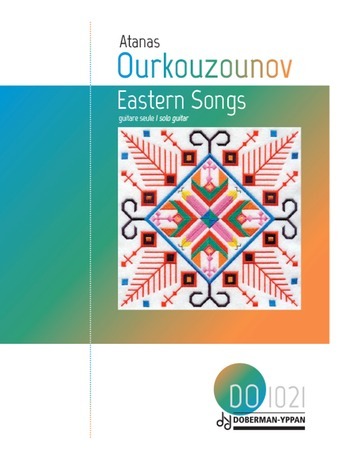 Arriving at “Eastern songs” (2016), we are back in the modern tonal language, but this time round added a more folkloristic tone. 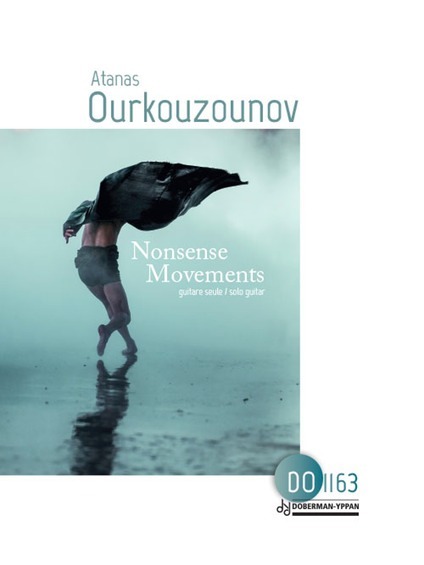 Atanas possesses a magic ability to wrap beautiful melodies in modern harmony and seemingly restless music. It is demanding for the listener, but the reward is sizable! 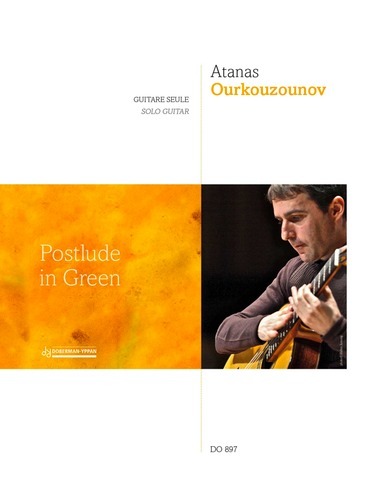 “Postlude in Green” from 2014 is a melancholic and beautiful timbre painting. 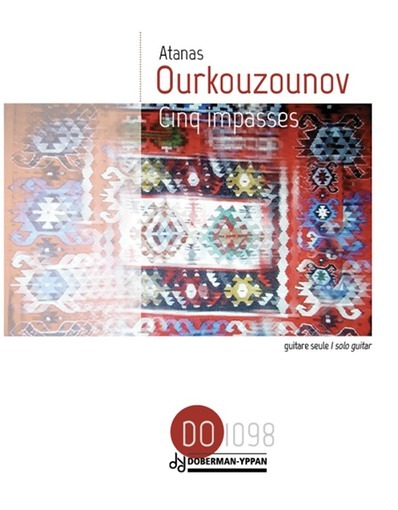 One also finds the same melancholy in “Cinq Impasses” from 2017, but this time round, the melancholy is broken by virtuosic, rhythmical sections. The great virtuoso display of fireworks “Toccatchenitsa” - also from 2017 - concludes the album. This new disc is a powerful, uncompromising release from one of the very greatest on the international guitar scene. Atanas Ourkouzounov is a guitarist-composer among the most inspired and original ones of the last decade. He was born in Sofia and after the beginning with Dimitar Doitchinov, he moved to Paris in 1992 and studied with Arnaud Dumond, Alexandre Lagoya and Olivier Chassain. His studied not only the guitar but also chamber music, analysis, ethnomusicology and improvisation. Nowadays he is one of the most played guitarist-composers and many famous guitarists have programmed his music. Among them: Zoran Dukic, Denis Azbagic, Scott Tennant, Shin-Ichi Fukuda, Eduardo Isaac, Pablo Márquez. 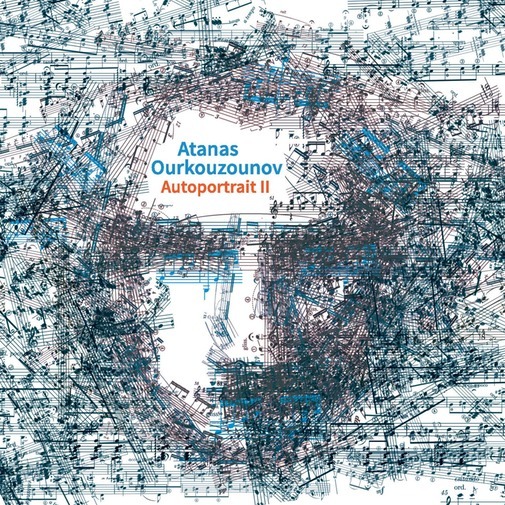 Autoportrait II contains self played compositions revealing the core of his language, with a deep lyrical side, but also extreme contrasts which won’t leave the listener indifferent. 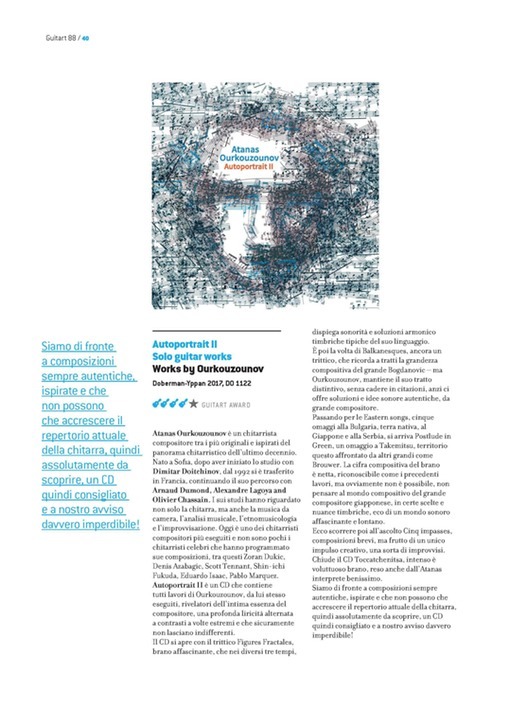 The Cd opens with the tryptic Figures Fractales, a charming piece which features in its three movements sonorities and harmonic solutions, typical of his style. Another three-parts piece, Balkanesque, sometimes reminds the great Bogdanovic. 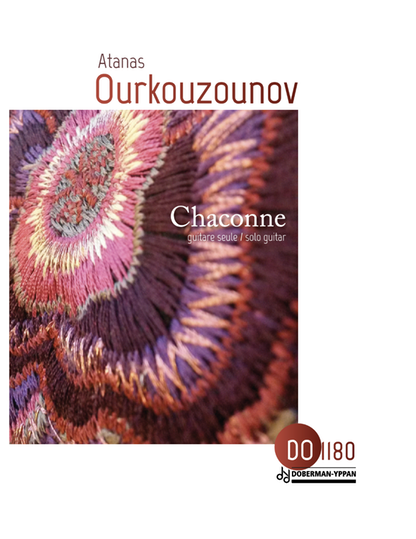 But even here Ourkouzounov keeps his particularities. 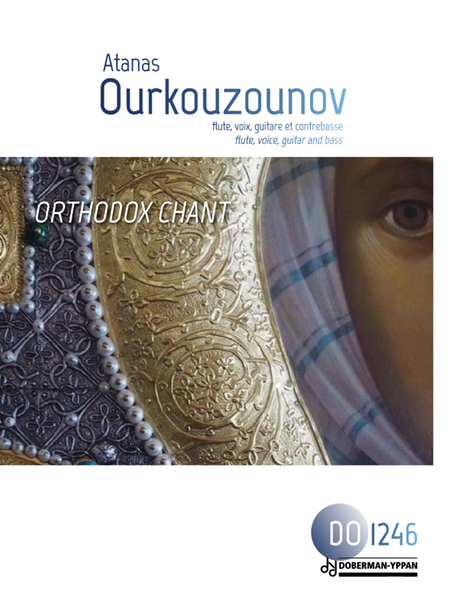 Without quotations, he offers original musical solutions and ideas, as a great composer. 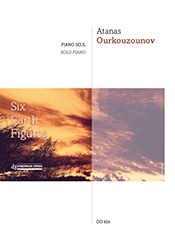 Further pieces are the Eastern Songs, five hommages to Bulgaria (his native land), to Japan, to Serbia, but also Postlude in green, dedicated to Takemitsu. This last topic was already treated by other talented composer like Brouwer. Even in this piece the signature is clear, recognizable like his other pieces, but of course it is not possible not to think to the world of the famous Japanese composer. Some of the timbre nuances are the echo of this fascinating and far world. And then we have the Cinq impasses, short compositions, result of the same creative gesture, a sort of impromptus. 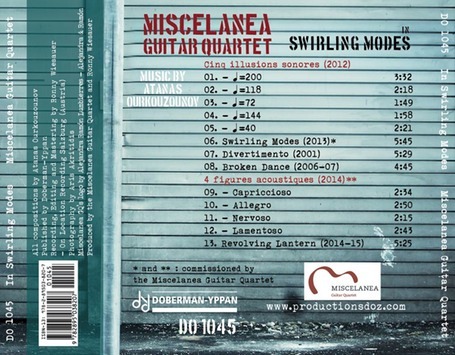 Toccatchenistsa, voluptuous and intense piece, closes the CD. 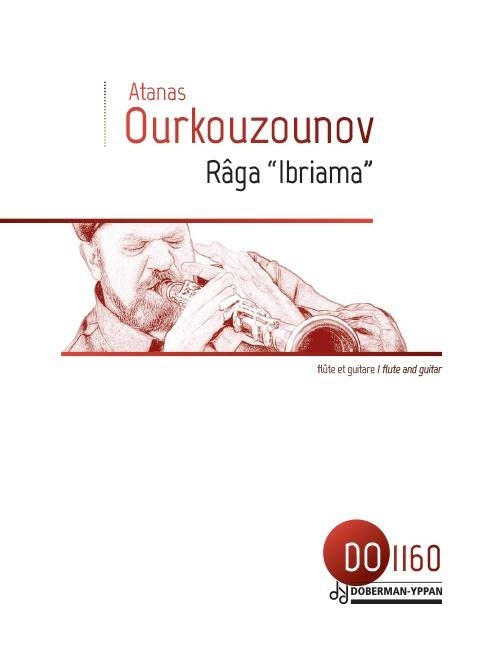 An excellent playing by Atanas as performer. These are authentic and inspired compositions. They are increasing the current guitar repertoire and they deserve to be discovered. A Cd that shouldn’t definitely be missed. 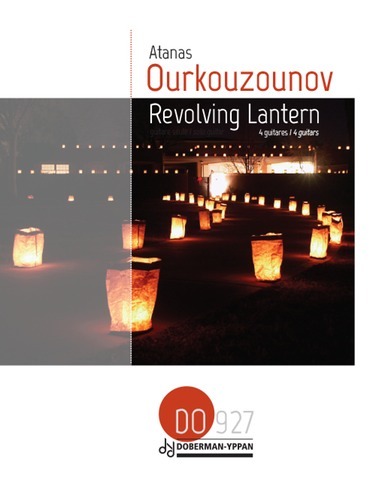 From the opening moment of this CD, Paris-based Bulgarian composer Atanas Ourkouzounov displays his uncanny ability to present a sense of controlled chaos with elegance and power. This is a self-portrait, an intimate and intense look into the recent compositions of one of today’s great guitar composers. As the cover art suggests, an image of the artist emerges as the notes spin round and round, constantly revealing his musical genius. 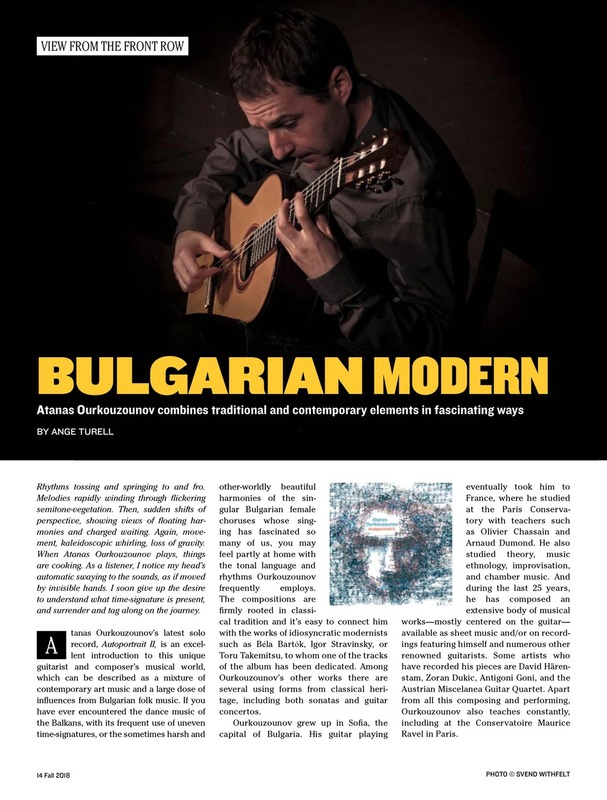 His love of Bulgarian music is matched by his fascination with the endless possibilities of texture and sonority on the guitar. This is not « difficult » new music, it is too organic, too heartfelt, too natural. But you will not be comforted by common chord progressions, impressive arpeggios, fast scales, familiar Latin rhythms, or new age grooves. This is music deeply concerned with tone and texture though melody is never far away, often woven into a contrapuntal fabric. 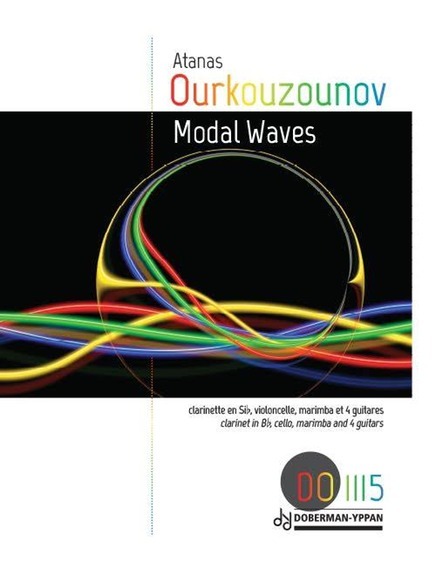 Inventive harmonies emerge out of a Bach-like flow of single line melody. Frequent use of laissez vibrer and campanellas are highly refined by an ear that molds every lingering pitch. Irregular meters are a fact of life in the Balkans, and so the constant shifting of accent is delivered naturally, his driving sense of rhythm so firm that the music captivates. 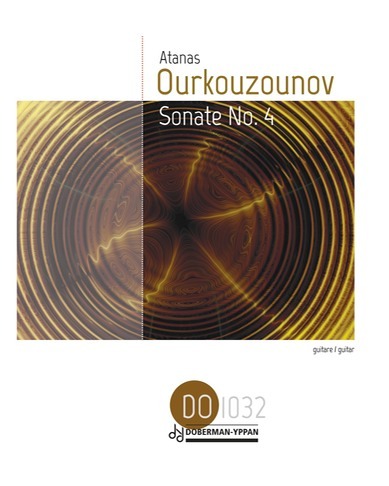 A confident, accurate technique renders the complexities of Atanas’ compositions with warm tone even through harsh dissonance. His strong slur technique with its melodic grace is essential to the flow of long single line sections. His use of both percussive elements and harmonics are organic, not token isolated sections. 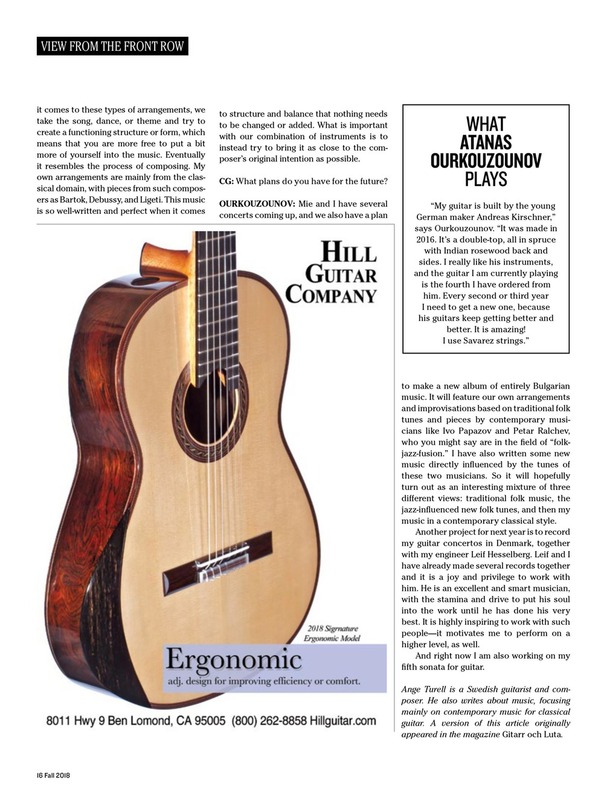 Harmonics are not ornamental but are a natural extension of the range of the guitar. Percussive effects likewise seem to emerge from necessity, not an effort to amuse or divert – a tambourine in the singer’s hand. 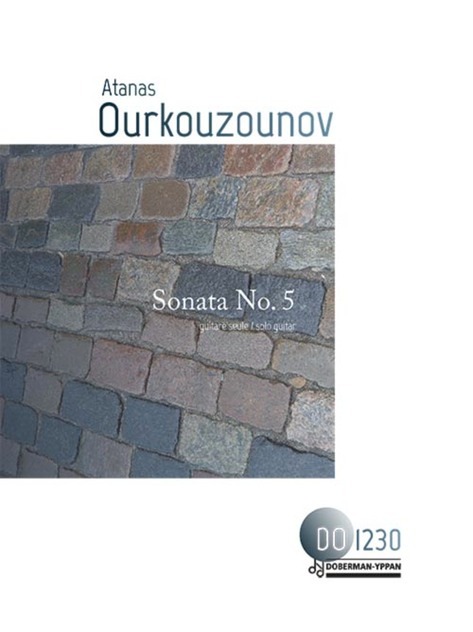 A brilliant performer, Atanas hears every detail, controls the duration and timbre of every note, and finely balances the structure of dissonant sonorities. 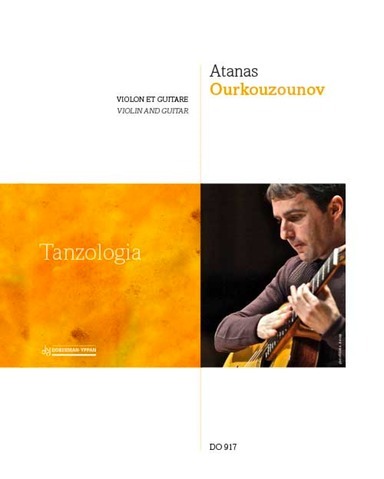 My understanding of Bulgarian/Balkan music is superficial, but I would recommend that anyone who wants to gain a deeper understanding of Atanas Ourkouzounov seek out recordings/videos of Balkan vocal ensembles. 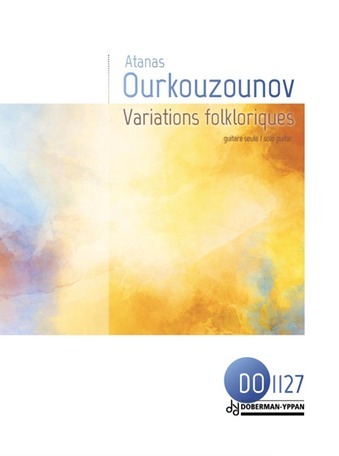 The folk traditions are full of the rhythms and dissonant seconds and sevenths that Atanas uses so fluently. Highly recommended as essential listening. 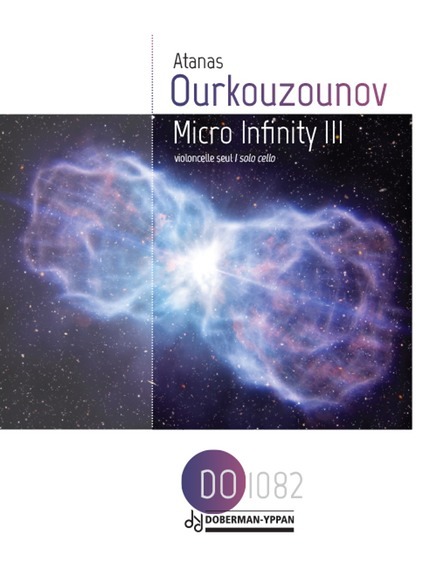 Works by Takemitsu & Ourkouzounov. 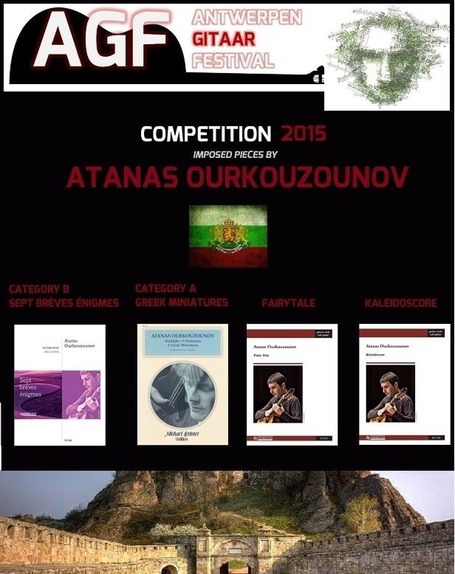 These are the titles of the imposed pieces of this year's guitar competition in November focussing on contemporary Bulgarian composer Atanas Ourkouzounov. 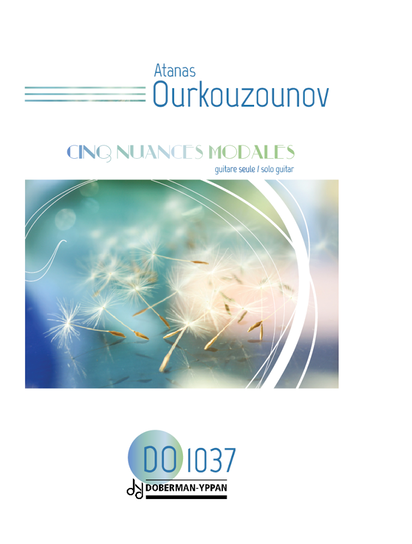 One or more movements from the following pieces may be chosen, to be played in both rounds of the competition: "Sept Brèves Énigmes" (Category B from 10 to 15 years of age) and "Greek Miniatures" / "Fairy Tale" / "Kaleidoscore" (Category A from 15 to 20 years of age). "I have previously praised this duo highly, and I am happy to do so again. They possess an outstanding musical and technical level. Just the mere fact that they deliver one flawless CD after the other withoout losing musicality and joy of performing is very unusual. This CD is a mixture of previous recordings – live and from studio. 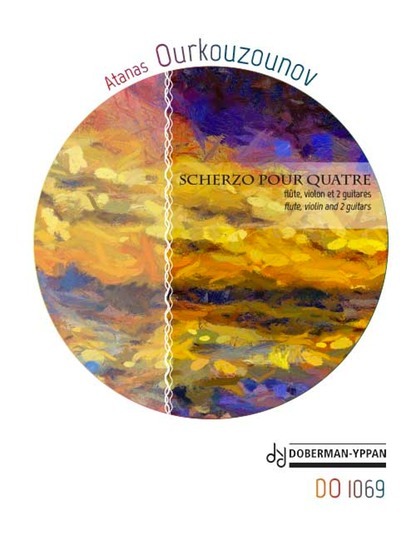 All of the music is composed by Atanas Ourkouzounov and published on Dobberman-Yppan (Canada). The first piece ”Sonatina” (1999) has 3 movements: A rythmically swinging Bulgarian dance followed by a slow movement ”Comme un chant”. The guitar and the flute are perfectly balanced: Thin, airy tones from the flute blended with crystal clear harmonics from the guitar. To finish, we get a joyful and charming little Serbian rondo. Great! 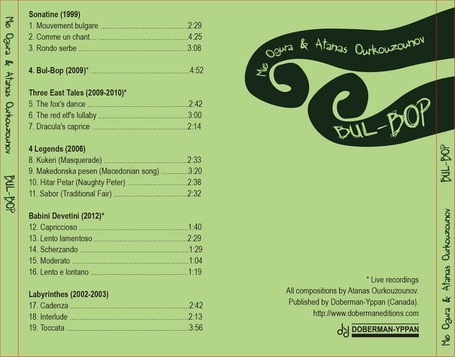 The title piece ”Bul-Bop”, composed in 2009, is in a slighty more modern style. We har dynamic rythms - and the flute really sings. 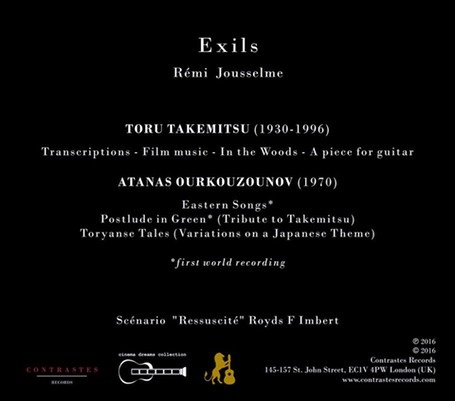 After this follows a cute little suite ”Three East Tales”, composed 2009-2010. 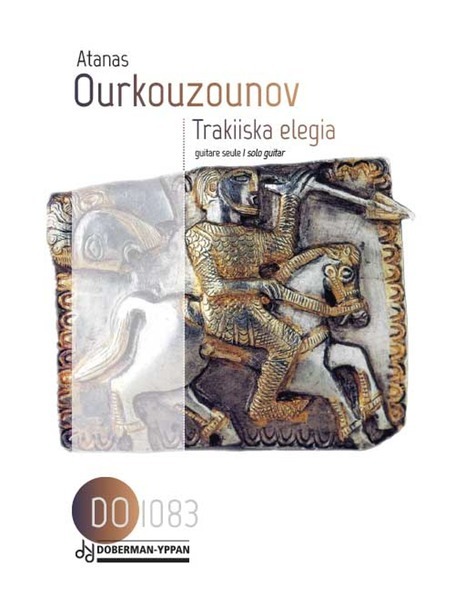 It is delightfully melodious - containing sounds and rythms from Eastern Europe. ”4 Legendes” (a 4 movement piece) also has folcloristic roots and posseses a touch of humor. ”Babini Devinti” from 2012 is a suite in 5 movements written in a modern tonal language. Lively, rythmically dynamic movements interchange with slow, dreamy movements characterized by tonal density and variety. We get plenty of airy sounds from the flute and many timbral effects on the guitar: Harmonics, pizzicato, playing with the left hand alone, etc. ”Labyrinthes” in 3 movements starts off with a cadenza for guitar, followed by an interlude for the flute, in which we hear both singing and blowing from the flute. To finish, the two soloists join each other in a virtuoso bursting toccata. This CD presents world class conermporary chamber music. 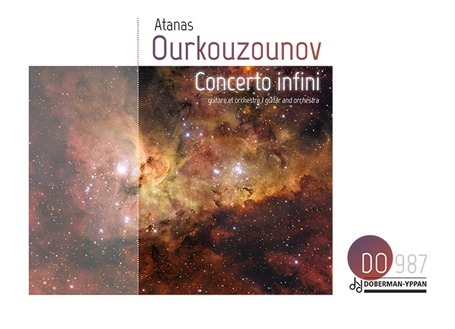 Atanas's music bursts joyfully and has a nice timbre, but the magic decreases upon hearing the entire CD. So the advice is: Enjoy it bit by bit – or even better: See the duo live! 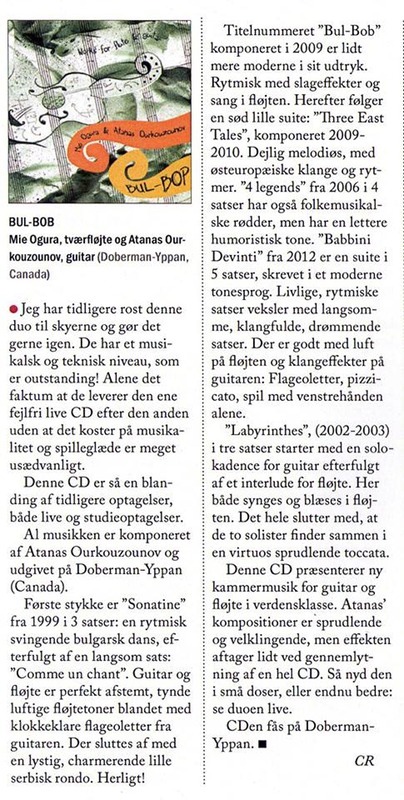 The CD can be obtained from Dobberman-Yppan." "This is the second live CD from this fantastic duo that it is my pleasure to review. I may repeat myself in this review since certainly the same kind of superlatives come to the mind. It is world class duo playing! 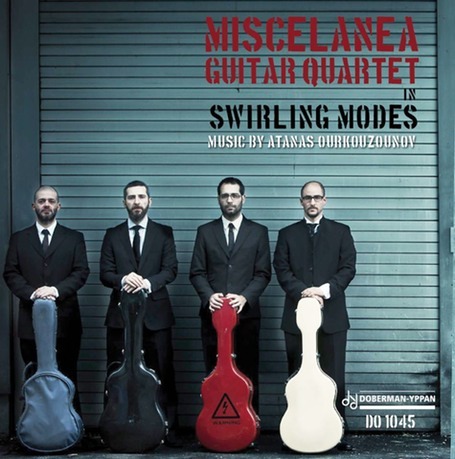 As I see it, Atanas is one of the finest guitarists on today's international guitar scene. His superb technique is totally in the favour of the music, and he is one of the most technically impeccable guitarists I have ever heard. However, at no point do we feel that the perfectionism comes in the way of the artistry. This is seldomly seen in the world of guitarists. 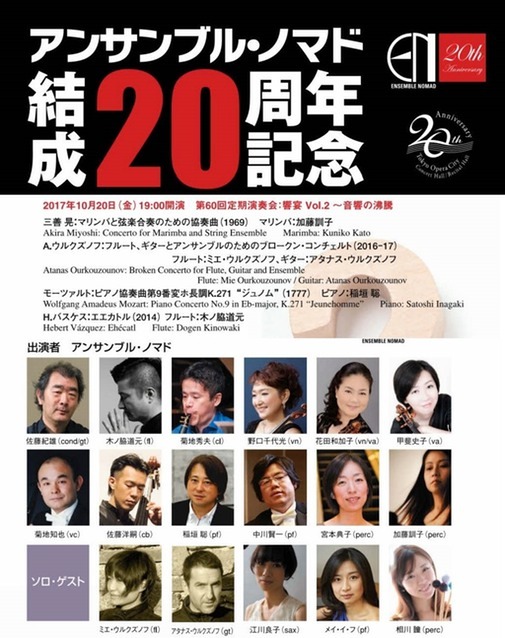 I am not qualified to judge Mie Ogura's qualities as a flutist, but what I can undoubtedly confirm is that she plays handsomely, sensitively, dramatically – and certainly always ”to the limit”.... Together they form a perfect unit. 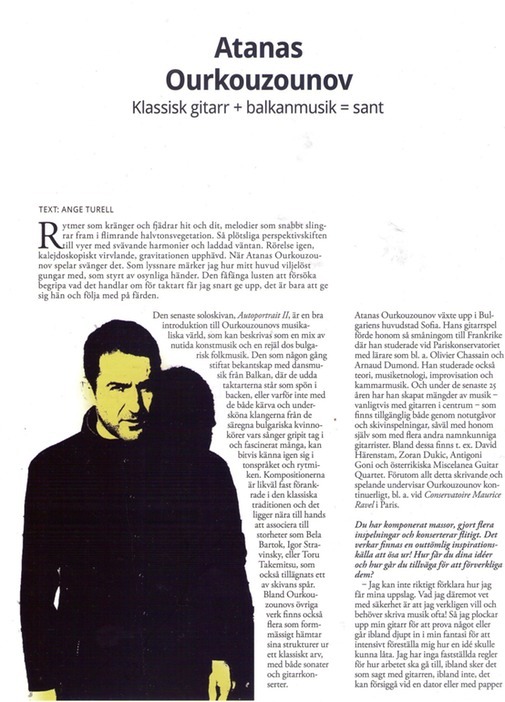 The recording was made by Leif Hesselberg – the result is a very handsome and natural sound. The first tracks on the CD are 3 evergreens by George Gershwin: ”I Love You Porgy”, ”The Man I Love” and ”I Got Rythm”. They all produce an immense joy for the ear – and the swung feeling towards the end of the latter piece is a true delight. 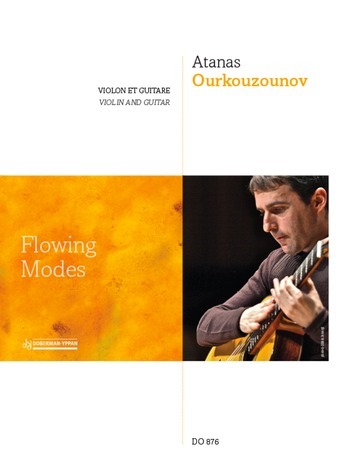 Then follow Atanas's own composition ”Babini devetini” - a modern piece in 5 short movements - using – at first - a tonal language very much based on the different options of tone production of the instrument – followed by enticing rythmic sections using special effects on the flute as well as on the guitar. Then follow 2 pieces by Claude Debussy: The evocative flute solo ”Syrinx” after which the guitar rejoins the flute in ”La plus que lente”. To follow, we are invited on a trip to Spain through Chick Corea's ”Crystal Silence”. 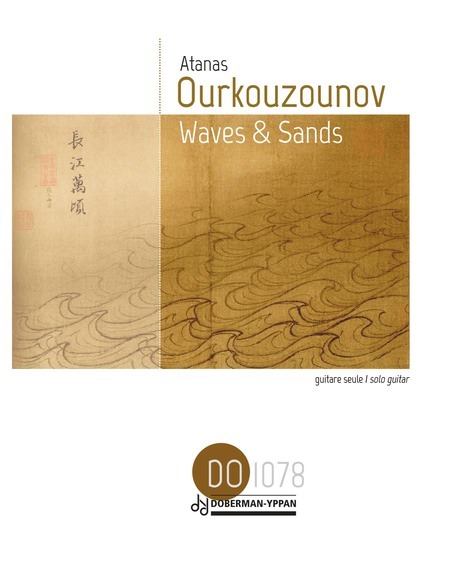 Mie Ogura's composition ”Agadez” is also rhythmically virtuosic, presenting considerable challenges for the flutist as well as for the guitarist – we are dealing with a tonal universe clearly inspired by the South American music. Atanas Ourkouzounov's work ”Extension” is another piece in which the rendition of brilliant and advanced rhytms hits the ear, but this time round the listener's mind travels to Eastern Europe – given the melodic and harmonic language. The following piece, Bela Bartok's beautiful-sounding miniature ”Sonatine” is a delightful, humoristic item and to close the party, we get ”African Rondo” - composed by the duo members in conjunction. As the title suggests, the source of inspiration is African music. Overall a marvellous journey throughout the world in the company of a duo mastering just about all styles: jazz, classical, contemporary and folklore. " 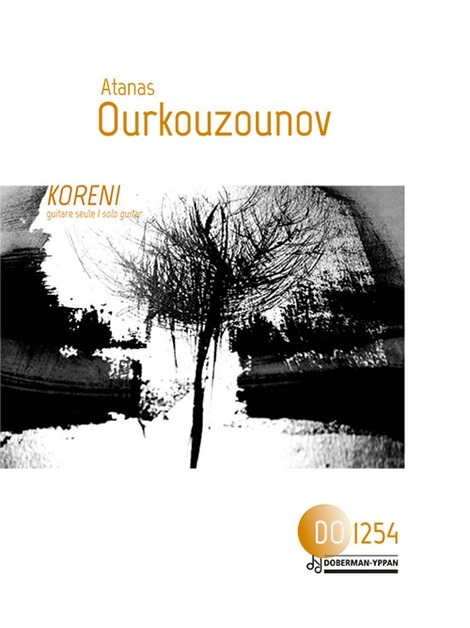 Works by Gershwin, Bartok, Debussy, Ourkouzounov, Ogura.